Prior to joining the Brasher Law Firm, Ms. Kothari was a Limited Partner at Arguello, Hope, and Associates, PLLC in Houston, TX. 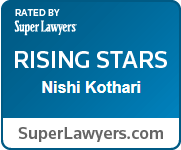 There, Ms. Kothari headed up the litigation group and focused her practice on homeowner’s insurance disputes. Ms. Kothari helped try two cases to trial, alongside Clint Brasher, in the past year and helped secure successful verdicts for her clients against their insurance companies. Ms. Kothari is a graduate of the University of Texas School of Law. While in law school, Ms. Kothari was awarded a public service scholarship. She used her scholarship to actively fight for the immigration needs of low-income individuals and families. She has the unique background of working for both sides of the case, as both an advocate for her clients through the Human Rights Initiative and as a law clerk in the Dallas Immigration Court. 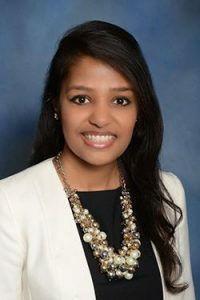 Ms. Kothari is active in the community, and is a member of the Houston Bar Association, Houston Trial Lawyers Association, and former Co-VP of Outreach and CLE for the South Asian Bar Association, Houston chapter. She is admitted to the State Bar of Texas, and the U.S. District Court for the Southern District of Texas and the U.S. District Court for the Western District of Texas.